The chapter chairman, Mr Roy Oribhabor, stated this in an interview with the News Agency of Nigeria (NAN) in Benin. He said the rejection of the bill was a welcomed development and right step in the right direction. He gave his reason for commending the President’s action, saying it was mere duplication of mandate of security agencies in the country. According to him, we should and must stop playing politics with issues we know will not mean well for the country. “As it were, we already have several security agencies whose function or mandates overlap; creating another one in the name of creating employment will create chaos in the system. “This is why the Edo CNPP wishes to commend the President for such bold step and futuristic evaluation of the situation. 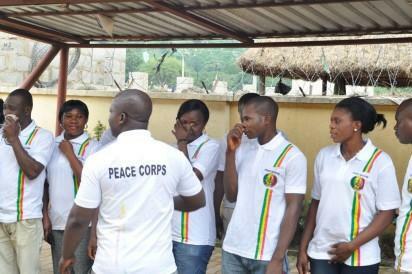 “However, to fight unemployment, we believe that qualified members of Peace Corps can be recruited into sister agencies like police and civil defense. “Edo CNPP strongly believed that the rejection of Peace Corp bill was done in good fate for the betterment of Nigeria and Nigerians. “Therefore, we call on Nigerians and affected members of the public, particularly members of the corps, not to view it as hatred or lack of concern by the president but accept the decision without disappointment. “Research conducted by us shown that Nigerians are happy with the rejection, but call on Mr President to prevail on the sister agencies to recruit them accordingly. “Too many security agencies will give room for lack of proper coordination and clashes within security arrangement. The post President Buhari commended for rejecting Peace Corps bill appeared first on Vanguard News.